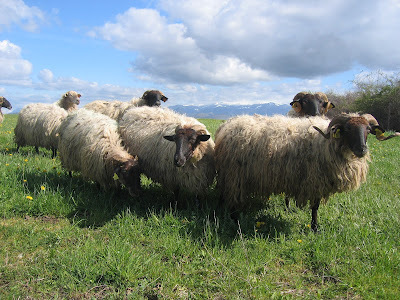 Produced by Fromagerie des Chaumes at Mauléon, in southwestern France, Etorki, or "origin" in Basque, is a pasteurized sheep's milk cheese. Native, black- or red-faced Manech sheep have lived in the region for centuries and produce very high quality milk that is ideal for cheesemaking. It takes a total of six gallons of milk to produce just one wheel of Etorki, sourced from the flocks of local shepherds and dairy farmers. Production of Etorki requires the curds to be pressed but not cooked. 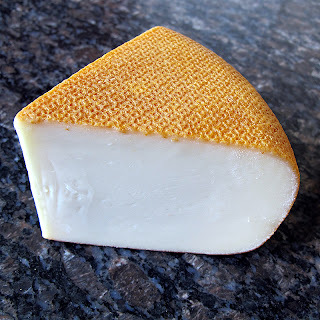 After unmolding, cheeses are placed in a brine solution for two hours before being dried and dry salted (salt rubbed on the exterior) several times during the first week. Cheeses produced at the factory are then vacuum-packed and matured at a low temperature (39°F) in order to produce a slow maturation for a period of three to six months. The texture is supple, velvety, and voluptuous on the tongue. The paste is ivory to golden, pocked with occasional holes or slits. The aroma is earthy, with rich, sweet notes of hazelnut and caramel.